Elflein St. and Ruiz Moreno St.
On January 9th., 10th, and 11th. 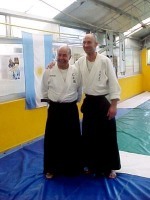 of 2004 Professor Ricardo López performs the Fifth Summer Seminar in the city of San Carlos de Bariloche, with de collaboration of Prof. Mario Ríos, head of the Dojo. 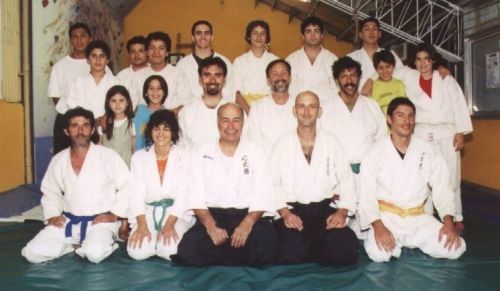 As before we note a large number of students, and, at this time, also the visit of Gabriel Palermo, practitioner of Olivos Dojo, Daniel Pagnucco, head of Tsuchi No Ki Dojo of Epuyén, and Suky Pagnucco, practitioner of that Dojo. During the Seminar was realized evaluation tests for kyus. As always it was an excellent encounter of friendship and camaraderie.